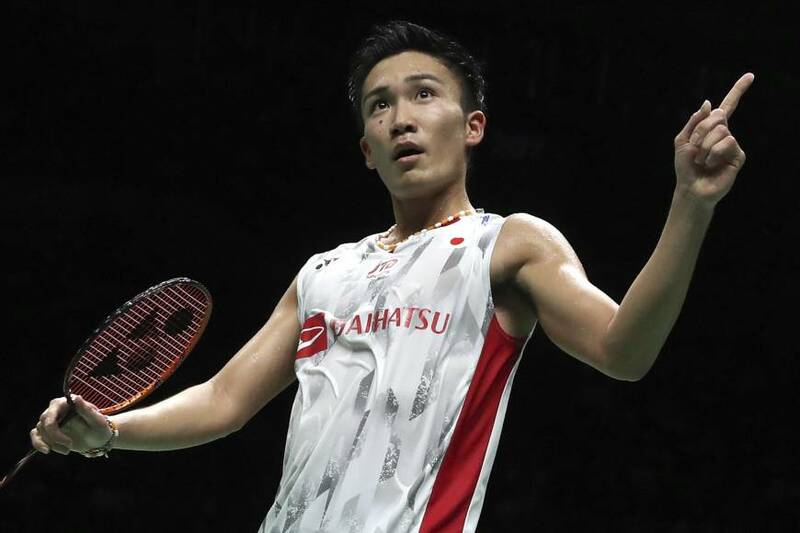 NANJING, CHINA - Kento Momota, only restored to the national team in January after a suspension for illegal gambling, became the first Japanese man to win a badminton singles world championship on Sunday. Earlier, Mayu Matsumoto and Wakana Nagahara came from behind to win an all-Japanese women’s doubles championship final, defeating compatriots Yuki Fukushima and Sayaka Hirota. Japan completed a record six-medal haul with Takeshi Kamura and Keigo Sonoda settling for silver in the men’s doubles final. The 23-year-old Momota, the first Japanese to medal in singles at the badminton worlds when he won a bronze in 2015, missed the 2016 Olympics due to a suspension for gambling at a casino, which are illegal in Japan. The sixth-seeded Momota defeated Chinese third seed Shi Yuqi 21-11, 21-13 to give Japan its second gold of this year’s worlds. “My legs moved well, and on top of that I was able to return his best shots and that put him under pressure,” Momota said. In the women’s doubles final, Matsumoto and Nagahara beat the second seeds for the first time in international competition, winning 19-21, 21-19, 22-20. The new champs, both 22 years old, never had a lead in the final game until they reached match point at 21-20. “I wanted to go out with us playing our best right to the end,” Nagahara said. “We were able to turn things around and play for all we were worth. It was Japan’s first world championship in women’s doubles in 41 years. In 1977, Etsuko Toganoo and Emiko Ueno took gold in the inaugural worlds. Both Nagahara and Matsumoto were competing at the worlds for the first time. In an all-Chinese mixed doubles final, top seeds Zheng Siwei and Huang Yaqiong defeated second seeds Wang Yilyu and Huang Dongping 21-17, 21-19. Spanish seventh seed Carolina Marin beat India’s V. Sindhu Pusarla, the 2016 Olympic silver medalist, to win the women’s singles crown 21-19, 21-10.